In case you missed it, yesterday Paul Feig announced, not only the release date to his all-female Ghostbusters 3 film, but also his cast of four. Along with obvious choices of Kristen Wiig and Melissa McCarthy, Feig’s 2016 reboot will also feature SNL cast members Kate McKinnon and Leslie Jones. Anyone that knows me knows that Ghostbusters is easily in my top 5 movies of all-time, if not #1, but I’ve always been skeptical of a Ghostbusters 3. Even before the idea of an all-female cast, I felt that the movie was coming about 20 years too late. With this cast, I think this could actually be better than a movie starring the aging original cast (RIP Harold Ramis), but I’m not necessarily putting all my eggs in this basket. Hopefully, it’s great; I enjoyed Bridesmaids a good deal and, at the very least, I’ll probably be able to drag my fiancée to see this one. Here’s a look at the cast. Wiig should probably need no introduction at this point in her career, as she is the most established of the four. She got her start in Los Angeles with the Groundlings comedy troupe before she got her first television appearance in 2003 on The Joe Schmoe Show before becoming a Saturday Night Live cast member in 2005. Wiig quickly became a heavy-hitter on the show, racking up 5 Emmy nominations during her eight-year run and becoming one of its most bankable stars. In 2011, she co-wrote and starred in Bridesmaids (directed by Ghostbusters 3 director Paul Feig), which went on to critical and box office success and nabbed her an Oscar nomination for Best Original Screenplay. Since then, Wiig has appeared in several films, including this year’s Skeleton Twins with former SNL castmate Bill Hader. With Kristen Wiig, the new film essentially has its Bill Murray, if for no other reason, because they share similar career paths. Bill Murray already had Meatballs, Caddyshack, and Stripes under his belt before Ghostbusters, but if we’re looking at it as a straight comparison, I’m not sure their comedic sensibilities will match up. Obviously, there’s no doubt that Wiig can carry a movie, but it’ll be interesting to see what sort of character she embodies. Another Groundlings alum, Melissa McCarthy performed with the comedy troupe for nine years. She first made her way into American homes as Sookie on Gilmore Girls, Lorelai’s oft-frazzled friend, then landed the lead-role in the CBS sitcom Mike and Molly, but it wasn’t until her scene-stealing role in Bridesmaids (which garnered her a Best Supporting Actress Oscar nom), that audiences and Hollywood took notice. Since then, she’s starred in the directed films The Heat and Spy, currently in post-production. While The Heat proved to be a modest hit, other films like Identity Thief and Tammy did not fare so well. McCarthy’s recent film releases shows her great sense of physical comedy, something that the original Ghostbusters films did not necessarily feature. Hopefully, her character leans more towards her work in Bridesmaids, which would work better in an ensemble setting like this. If you’ve been watching Saturday Night Live these days, you’re probably already familiar with Kate McKinnon, who has fast become one of the shining stars of the long-running sketch show. A cast member since 2012, McKinnon also had her start in improv comedy, as she founded Tea Party, a musical improv group, while she was studying at Columbia University, before moving on to live sketch performances at Upright Citizen Brigade Theater in 2008. While she has a handful of her own original characters, McKinnon has carved out a niche for herself on Saturday Night Live with her ability to impersonate celebrities. Most recently, she portrayed Justin Bieber in a spoof of his now-famous Calvin Klein ad. For Kate McKinnon, Ghostbusters 3 will be her biggest role to date, and thus, she arguably has the most to gain from it. She’s young, pretty, and a rising star. This role could easily fast-track her to success that past SNL females like Tina Fey, Amy Poehler, and Kristen Wiig managed to gain outside of television. Easily the least familiar name in the cast, Leslie Jones has been around for quite some time. At 47, she’s the oldest of the four and the oldest to become a cast member of Saturday Night Live. 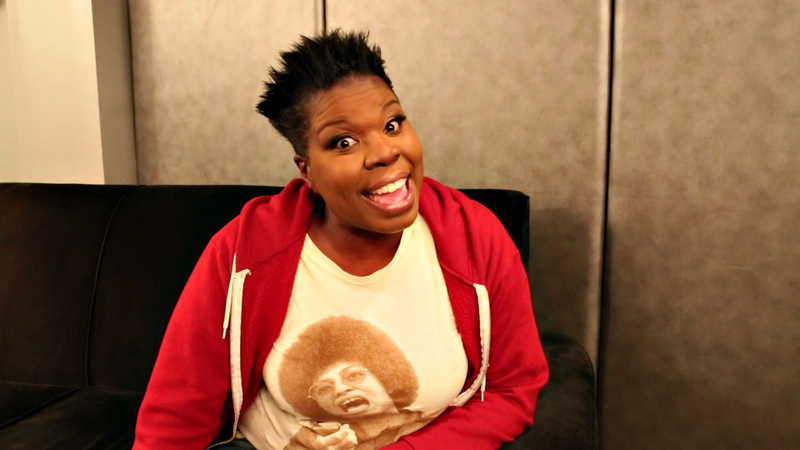 Unlike the other three, Leslie Jones had her start in standup, performing in clubs during her days winning “Funniest Person on Campus” at Colorado State University. From there, she kicked around the New York and Los Angeles comedy circuits Leslie performed at the Comedy Store and opened for Jamie Foxx. She worked Los Angeles comedy clubs, eventually landing roles on television programs like In the House, Coach, and Girlfriends. Jones was originally hired by Saturday Night Live in early 2014 as a writer along with LaKendra Tookes, another African-American female writer. The hiring came on the heels of the hiring of Sasheer Zamata, the show’s first African-American female cast member since Maya Rudolph left. Like McKinnon, Jones has a lot to gain from a role in Ghostbusters 3. Obvious comparisons would lead you to believe that Jones would inhabit a similar role Ernie Hudson had. It was the smallest of the three, which seemed to have more to do with the fact that Ernie was not Eddie Murphy than it had to do with the color of his skin. But you cannot discount Winston’s role in the original foursome, as the straight man in a room full of crazy people. However, Paul Feig was able to flesh out even the supporting characters in Bridesmaids, so there’s no reason to think that Jones has to take a back seat to her more famous costars. What are your thoughts on the cast of Paul Feig’s Ghostbusters 3?